This new concept offers two 15 mm clear acrylic blocks that are held together by magnets in each corner. These inexpensive products can be viewed in portrait or landscape aspect and are designed to ensure that the focus is on your image and not on the frame. Your image is repeated on the reverse of the product. 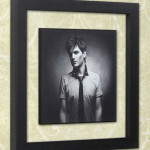 You will need to supply one (1) image with each Table Top Acrylic frame. Be the first to review “Table Top Acrylic Frames” Click here to cancel reply.